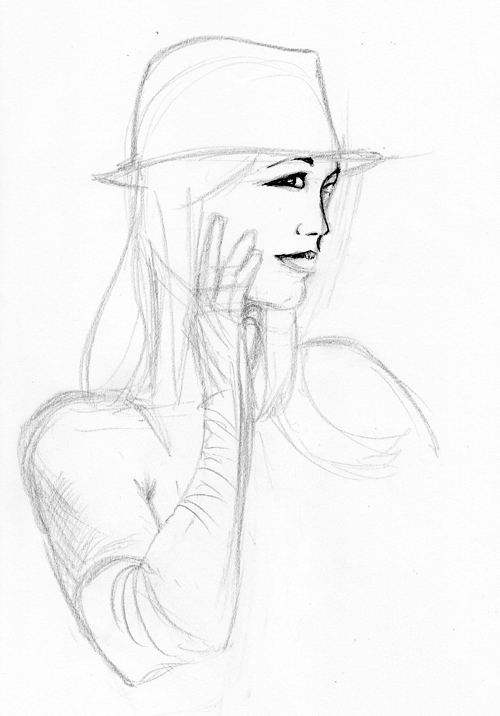 sketch night was actually last week but just getting around to posting it now. 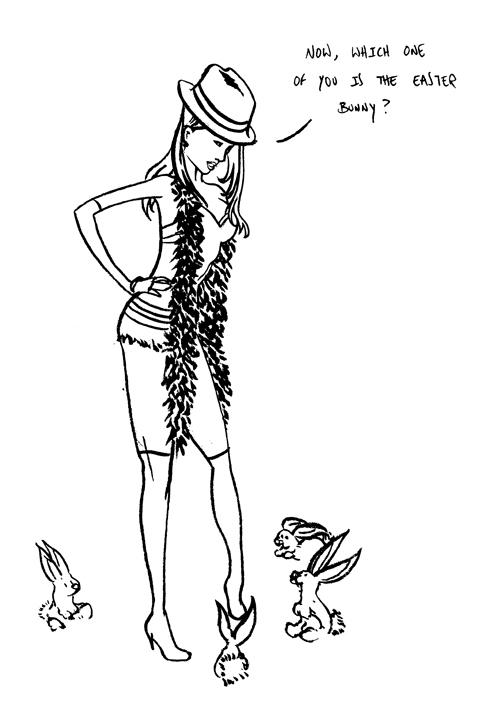 this week we have a model who actually works as a burlesque dancer! and in all honesty, she was a great model and had some very fun artistic poses. well, let’s get to it! we start off with our usual 30 second sketches. this month i decided to focus on the wireframe of the body posture. (last month i tried to focus on flowing hair.) i’m using a thick Copic sketch marker that’s about to run out. 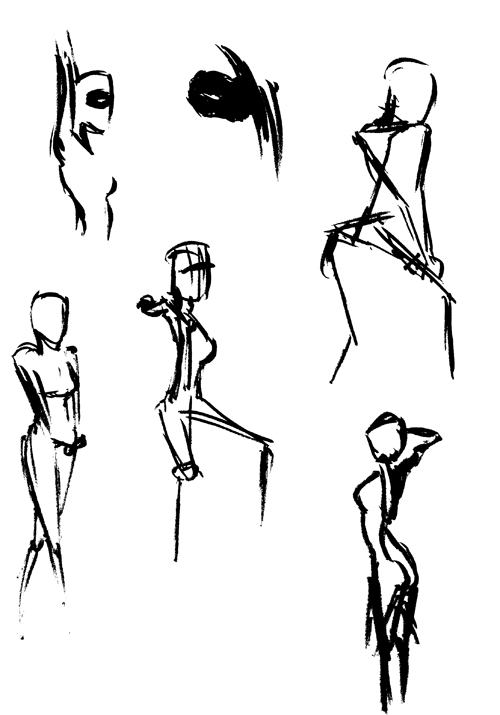 next, one minute sketches. halfway through these, i get sick of the marker running out and started using a fresh Copic sketch. free flowing ink feels so good! 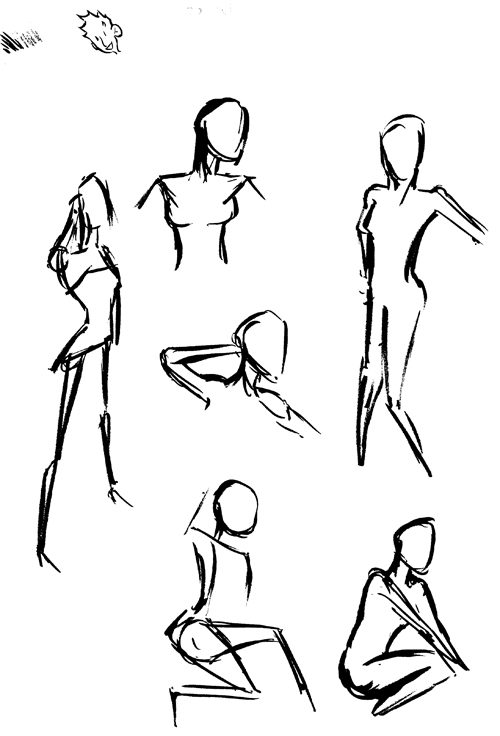 next, a few 5 minute sketches. 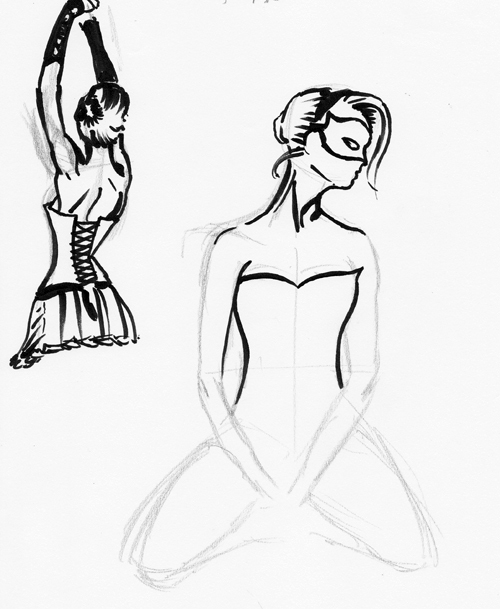 still wanting to do work on my wireframe technique, i switch to a very thick lead drafting pencil for roughs. 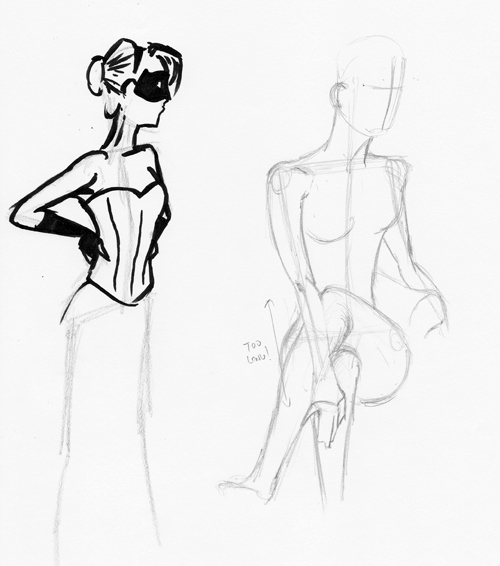 this allowed me to get the posture angles and proportions closer. then it was back to the Copic sketch. tonight’s challenge sketch (which lasts 15 minutes and then an additional 5 minutes for cleanups) was to incorporate the easter bunny. now, every month i give an honest effort to win this contest but am always blown away by competition (very humbling!). but this week i actually won!! totally took me by surprise but i was VERY happy! here’s the winning sketch, done in 0.3mm rough pencils and a Pentel brush pen! the night quickly wrapped up after this with some 10 minute sketches. looking forward to next month’s!